2017. Hardcover and Paperback. 304 pages. Ebook also available. Dutch author Niña Weijers took the world of European literature by storm in 2014 with her debut novel The Consequences, which has sold over 35,000 copies world-wide and garnered critical praise for its maturity and ambition. Using deft and captivating prose, Weijers tells the story of Minnie Panis, a young and talented conceptual artist, as she navigates love affairs, her unexpected success in the art world, and her relationship with an emotionally distant mother. Beginning with Minnie’s near-death experience falling through the ice during her ultimate artwork, Weijers takes readers on a rollercoaster ride as Minnie uncovers the truth behind her premature birth. The doctor who saves her life, twice, enters Minnie into his clinic, whose motto All the fish needs is to get lost in the water helps her arrive at the border of life’s ebb, where meaningful art and revelations occur. An intimate, often humorous exploration of the intertwining cycles of death, rebirth and coincidence, The Consequences is a Bildungsroman that echoes far beyond the last page. Niña Weijers’ remarkable, inventive novel depicts a contemporary conceptual artist at the height of her fame whose blasé art project has unintended consequences. Weijers invokes Kurt Vonnegut in the course of the narrative, and this novel shares Vonnegut’s sense of how things can be simultaneously real and absurd. Movies and books notoriously fail to capture the social and spiritual atmosphere of the contemporary art world, but Weijers nails it. Her book is beautifully written, surprising and often profound. Weijers’ prose is sharp, intimate, and curious. A sensitive and erudite exploration of the tangled relationships between synchronicity, identity, life, and art. This novel is a true must-read, and Weijers is an author all literate readers should discover. So few novels of this scope and ambition are present in the contemporary American literary scene that one struggles to find peers; imagine a work by Thomas Mann with the wit and postmodern sensibility of Milan Kundera. […] The Consequences is an astonishing book, shimmering with wit, wisdom, and beauty. Even as she remains enigmatic, Minnie is a very well presented strong character, and Weijers’ unusual life and art story is engaging throughout: she knows how to spin and tell a story. Thoroughly enjoyable and agreeably provocative. Minnie Panis is a conceptual artist whose near-death experience during an installation convinces her to seek psychological help. But is the doctor she’s chosen a helper, or a gateway to another dimension? “The day Minnie Panis vanished from her own life for the third time. . .” You’ll be hooked as I was if you pick up this serious yet humor-filled examination of a life perhaps too-well examined—but what would you expect of an artist? That The Consequences is populated by many well known artists and illuminated by the description of their artworks is a beautiful treat for the part of the reader that loves learning about art history. Weijers’ literary inspiration comes from Samuel Beckett’s Happy Days, but she leaves Beckett’s futility behind to deliver a deeply compelling search for meaning that at times turns on the slightest connections—like the fleeting nature of life itself. In this sharp book of wry commentary, Minnie’s newfound fame and haunting past come together to explore the nuances of intimacy and identity. A thoughtful and compelling book that kept me thinking and reflecting. In this novel, tingling with ambition and fascinating ideas, the life and art of the main character revolve around loss, existence and disappearance. A determined tone characterizes this crazy book. A surprisingly mature debut, shaped by deep knowledge of human nature. I found the read to be so exhilarating that as the book drew to its close, it took effort to return to the question about the nature of Minnie Panis’s disappearances. The question: what drives these disappearances, is stated and restated so many times that it, in itself, becomes a disappearing act—woven into the very nature of the book, it disappears from the reader’s consciousness. […] Only after I finished the novel, did it occur to me that Niña Weijers showcases a particularly female life trajectory in a world where feminist ideals of equality between genders are a desirable yet distant goal. An impressive novel on the art of creative living or the creative and destructive vital force of being an artist. How is it that some people aren’t able to tell that their own lives are a highly gripping story? Minnie can’t do that. Weijers fortunately can. The Consequences attempts something that is not easy, and succeeds. A person thinks exhaustively about herself yet does not become boring. She writes about what she’s doing and you want to know all about it because it’s so vividly told. The temptation not to exist, to disappear from the world you’re walking around in, the art you come upon and live with – when you write it down it sounds like heavy going; when you read it it’s light. So read it. This sharp and luminous debut novel, of which Beckett is the real mentor, also gives pride of place to a “neonatalist,” in other words a specialist in newborns, which will not astonish anyone in a history that speaks of art, that is to say, also, of the search for origins. Birth. Floating identity. Who we are in the eyes of others — these themes are at the heart of The Consequences. At first, however, the book resembles a series of brilliant variations on the contemporary artistic scene. […] The tone is created in the first pages. Ironic and sharp. Weijers mocks the extreme narcissism prevalent in these circles. She spares us the boring question “What is art?” but questions the boundaries between artwork and life; the visible and the interior self. […] An amazing game of mirrors. […] Original and promising. Other books are sure to follow. A smart and wry view of the art business, referencing real artists and told by Minnie with a great deal of irony. At the same time, [the novel] is an in-depth biography of an artist who experiments with vanishing into her own art. The Consequences is a text replete with truths about grief, love and failed opportunities. Existing is a difficult task, as each character testifies. A multifaceted portrait of a female artist … full of astute observations. A bit of mystery, some philosophy, a lot of art and some existentialism — out pops a sparkling, surprising, refreshing story. Niña Weijers (Nijmegen, 1987) studied literary theory in Amsterdam and Dublin. She has published short stories, essays and articles in various literary magazines, such as Das Magazin, De Gids and De Revisor. In 2010 she won the writing competition Write Now!. 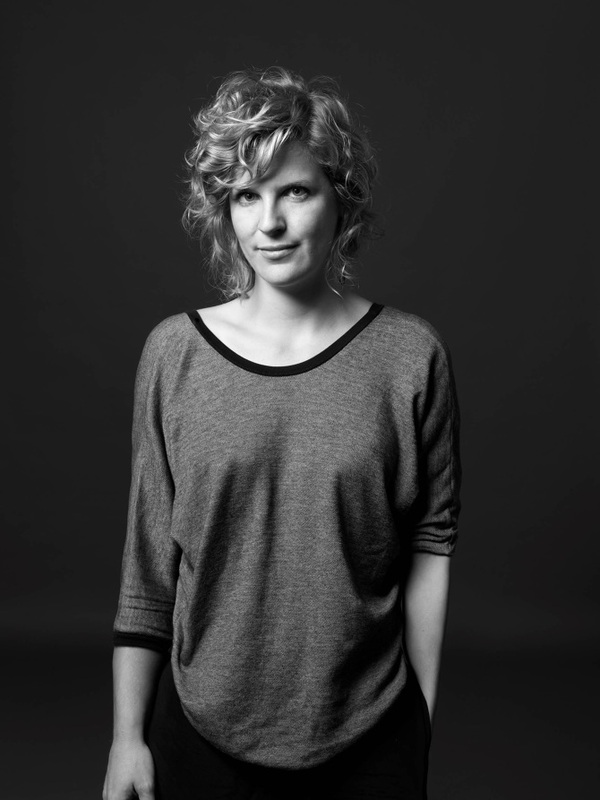 She is a regular contributor to the weekly magazine De Groene Amsterdammer, and an editor of De Gids. Her debut novel The Consequences (De consequenties) was published in May 2014. It won the Anton Wachter Prize 2014 for best first novel, the Opzij Feminist Literature Prize, the Lucy B. & C.W. van der Hoogt Prize, and was shortlisted for the Libris Prize and the Golden Boekenuil, the two most important Dutch and Flemish literary awards. Foreign Language publications: English (Doppelhouse Press, 2017), French (Actes Sud, Fall 2016), German (Suhrkamp, August 2016) and Czech (Kniha Zlín, 2017). Hester Velmans is an award-winning translator specializing in contemporary Dutch and French literature, and is the author of several popular children’s books.